Philip Revell, Chair of the Scottish Communities Climate Action Network (SCCAN), travelled to Malawi in March 2016 as part of an international knowledge and learning exchange. Philip learnt first hand about the climate change impacts affecting communities in Malawi. He shares his experiences below and reflects on common challenges and opportunities for SCCAN members to learn from and share experiences with communities and Malawi. In common with the rest of southern Africa, Malawi is already facing a significant impact from climate change. Devastating floods in January 2015 affected over 1.1 million people, 7% of the population. 280 people lost their lives and 230,000 were displaced, many permanently. Coping with a disaster on this scale was a major challenge for a country with so few resources and such limited infrastructure. MAJI, a Bantu word for water, is a Scottish Government climate justice funded project being delivered by VSO Malawi along with a range of local partners and support from James Hutton Institute in Aberdeen. The aim of the project is to enhance the resilience of some of the poorest and most vulnerable communities through a more integrated approach to planning future water resource management and direct practical support to ‘Village Natural Resource Management Committees’. 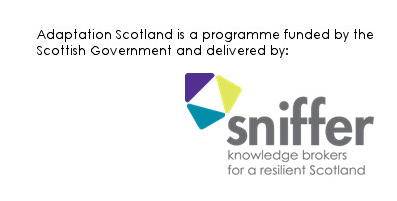 The Scottish Communities Climate Action Network (SCCAN) is also a partner in the project –with the intention of establishing an ongoing knowledge exchange, and to bring a climate justice perspective to the work of our members across Scotland. SCCAN brings together a wide range of community organisations across Scotland that are taking climate action. As well as seeking to provide mutual inspiration and support we work to develop creative partnerships with other organisations, sectors and networks and to try to overcome the barriers and challenges facing our members in their work. Personally, the three and a half years I spent working with groups of peasant farmers in the east of Zimbabwe during the 1980’s has been a significant influence on everything I have done since. I was therefore grateful to have the chance to return to southern Africa to participate as one of five Scottish delegates in the MAJI international knowledge and learning exchange workshop which brought together participants from Rwanda, Tanzania and Zambia, as well as Malawi and Scotland. It was a pleasure to meet such an engaged, knowledgeable and motivated group. A number of creatively facilitated workshop sessions gave insights into how MAJI has used scenario-planning techniques to bring village representatives together with district and national officials, NGOs and universities to encourage a much more holistic approach to future water resource management, from whole watershed down to village level. Field trips in Salima district gave us a glimpse into the reality of life in rural Malawi. Groups showcased some of the practical village projects that they have been able to start thanks to support from the MAJI project, including micro-credit schemes, planting of woodlots, alternative crops such as cassava, beekeeping, goat keeping, improved cooking stoves and riverbank management. It was encouraging to see the active leadership taken by women and the full involvement of children. And it was humbling to experience people with so little so enthusiastically breaking into song and dance to celebrate what they have managed to achieve. Clearly, whilst there have always been issues with occasional droughts and floods, climate change is now contributing an altogether new level of unpredictability and extremes to the rainy season, and to temperatures, exacerbating the vulnerability of the rural poor. This has been exacerbated by the severe deforestation that has occurred, driven by cutting of trees for charcoal for selling as fuel in towns, for curing of tobacco, Malawi’s main cash crop, and for burning of clay bricks. Through practical projects supporting diversification of income through new enterprises, increased tree cover and support for conservation agriculture practices, MAJI is seeking to increase the resilience and reduce the vulnerability of the village groups involved. The scenario-planning workshops have clearly succeeded in bringing diverse groups together and created a space for conversations about the future. However, the extent to which this process had directly influenced the choice of practical projects in each village was less clear. Whilst undoubtedly having a positive impact, none of these projects actually appeared particularly innovative or likely to be transformational in terms of resilience. Government agricultural extension workers are still pushing dependence on hybrid maize varieties that require timely rains and fertiliser application and can’t be saved for seed, tying farmers into annual purchase of inputs. At the end of the week, and after the end of the official workshop, we were fortunate to be able to visit the Kusamala Institute of Agriculture and Ecology, a permaculture demonstration centre on the outskirts of Lilongwe. Their plots showed the transformation that is possible with an alternative mindset and approach. Alongside more drought tolerant sorghums and millets, their open-pollinated, organically grown maize promised a bumper crop, despite the very late and erratic rains and in stark contrast to most of the fields we had seen nearby and on the field trips. The forest garden was producing an extraordinary abundance of diverse crops….. Yet the centre is struggling to get widespread uptake of its techniques and approaches amongst small farmers, despite the potential to transform their food security. Despite the very different context, it was interesting to reflect on how the challenges to creating change and improving resilience in Malawi are actually so similar to those faced by SCCAN groups in Scotland. For example: the difficulty of changing cultural norms and longstanding ways of doing things, the challenge of communicating and engaging with a wide public and the challenge of overcoming vested interests and public policies that can create perverse incentives not to change. And communities also face the same challenges in taking a strategic rather than a piecemeal approach and to taking a holistic view of creating ‘resilience in the round’. Clearly there is much learning to share, even if it may be difficult to find the most appropriate way to do this in a way that makes Scottish experience relevant in Malawi and vice versa. SCCAN is looking forward to continuing communication and interaction with groups in Malawi, particularly through Malawi’s Civil Society Network on Climate Change (CISONECC). This entry was posted in Uncategorized on July 14, 2016 by Adaptation Scotland.